Barbara Pine Memorial Fund for the Benefit of Guilford A Better Chance, Inc. The Alison Varian Memorial Scholarship Fund was established in 2018. Beyond these contributions, Alison was a very special and inspiring person. Apart from her many interests, she had a talent for working with people. She knew how to help individuals understand themselves and each other. When differences arose, she found a way to bring people together. She was selfless, brave and always courteous. Even during her long struggle with illness, Alison managed to keep all of her commitments and always with a smile on her face. 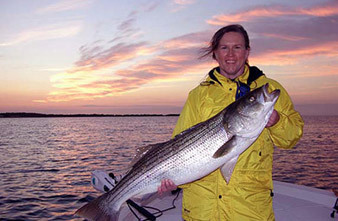 The Alison Varian Memorial Scholarship Fund awards annual scholarships to graduating seniors of The Sound School in New Haven who intend to pursue careers in aquaculture, fisheries or marine science. The first scholarship award was presented in June 2018.